Dave Burkhart is a seasoned professional in the themed leisure entertainment industry with over 37 years of experience in design development and design execution. He has led design and delivery teams at all levels, from attractions to Full Gate Parks at The Walt Disney Company and at Universal Studios. He is a highly creative designer and problem solver, has an extensive background in creating project teams and implementing design plans, then executing them successfully in the field. After graduating with honors in Design from California Institute of the Arts, Dave began his career in the themed entertainment industry in 1967, at Walt Disney Imagineering, Disney’s creative design and development organization. He served as an artist-modelmaker, building architectural and show models, including full-scale sets and props. He then became a Show Designer and Field Art Director as was responsible for show, ride, and facility concepts through show installation at Disneyland and Walt Disney World for such attractions as the Haunted Mansion, Swiss Family Tree House, and 20,000 Leagues Under the Sea. In 1974, Dave became Superintendent of Decoration at Disneyland, responsible for the maintenance of the Park’s day to day “show aspects” and the design interface with Imagineering. He was later promoted to Manager of Buildings and Grounds, where he was responsible for Decorating, Landscaping, Carpentry, Fiberglass, and the Paint/Sign departments, supervising a staff of over 200 artists and crafts professionals. Assigned to the Tokyo Disneyland Project in 1984, he developed the Show Quality Assurance Program for the project and trained the Japanese management staff in show quality to assure the ongoing maintenance of the original design intent for the Park. He was also responsible for the planning, purchasing and installation of the interiors and props programs for the Parks, as well as serving as counterpart Maintenance Director for the pre- and post-opening period. 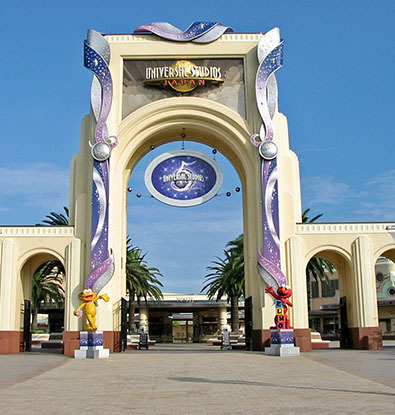 In 1996, Dave joined Universal Studios as Creative Director for the development of the Universal Studios Japan Theme Park. In that role, he led the Creative team in the concepting and design development of the $1.6 Billion Park’s design. He was later promoted to Vice President, Creative. In 1998, Dave was promoted to Senior Vice President and Executive Project Director, and his responsibilities were expanded to include full business and creative management of the project. He relocated to Japan and continued to serve in that capacity through the successful construction, installation and delivery of the project. Dave then supported the ongoing operations of the Park from Japan, later relocating to Orlando, Florida, to form and lead an Attraction Expansion Team for the Park while continuing to travel extensively to Japan to supervise the field installation work.